Epic Games has awarded a new round of Unreal Dev Grants to a range of projects built with and for Unreal Engine 4. Today’s recipients are detailed below, and more information on the grant program is available at unrealengine.com/unrealdevgrants. Spartan is a 2D platformer featuring “old school, tough as nails gameplay with pixel perfect controls,” and it’s made by only two people. Sinister Cyclops Game Studio get $14,000 to launch Spartan on Steam, and hopefully beyond. Talewind features wind as a core mechanic in Ghibli-inspired, hand-painted worlds. WindLimit Studios earn $12,000 for this whimsical platformer, an exemplary showcase of UE4’s Paper 2D tool. Heiko Fink has written a UE4 integration for the Perception Neuron motion capture suit, which drew over $500,000 in Kickstarter pledges due to the lure of affordable full body tracking in real time. Fink receives $12,000 for his freely available plugin which takes live data from the Perception AXIS Player into UE4. SkookumScript is a text-based programming language for creating performance-critical gameplay. It’s been used in AAA games such as Sleeping Dogs, and it is now available as a free plugin for UE4. The mad scientists at Agog Labs receive $15,000 for their dedication. 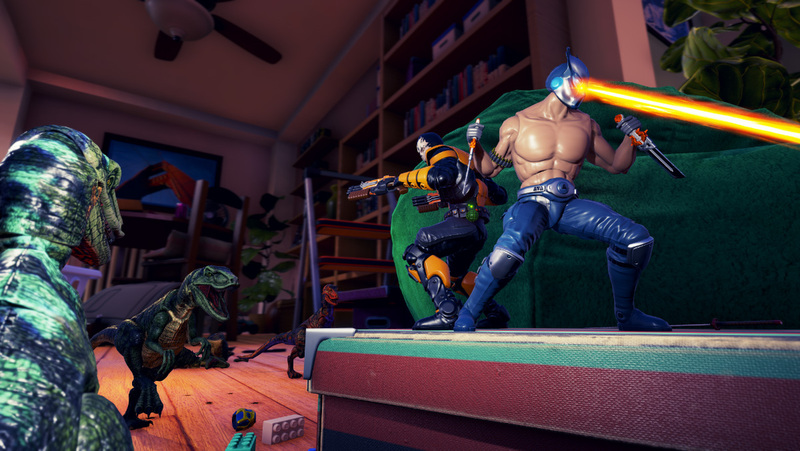 Digital Cybercherries, the UK team behind the fantastically nostalgic New Retro Arcade ‘80s arcade VR experience receives $13,000 for their new co-op shooter HYPERCHARGE. Revealed today, the game is planned for release on PC, Mac, Linux and Xbox One. German developer Rafaele Picca’s Deep Echo puts players on a mission in a submersible at the bottom of the sea. Richly detailed visuals and well-crafted design earn Picca a $10,000 award. Korea-based GaniTani get $12,500 for a new hash-and-slash mobile adventure, Bellatia (originally codenamed “Action Project”) which wildly departs from the developer’s more casual games available on Google Play and the App Store. Wanderer 2: The Rebirth features monster hunting with magic spells and a fun combo system, all made by two people based in Chengdu, China. EasyFun Games receive $12,500 toward future development. More Games We Want to Play! THR3AKS, the team behind Beatbuddy for mobile and PC, is making Retro Invasion, a 2.5D shoot-and-brawl game with a deep co-op system. Retro Invasion mashes up visuals and audio from different game eras. THR3AKS receive $17,000 for awesomely mixing modern and retro design. Montreal-based startup Elastic Games completed a successful Kickstarter last year, raising more than double the goal to take five-versus-one survival thriller Last Year from concept to prototype. Elastic get $17,000 toward making their dream game a reality.